Giving birth is one of the hardest, most terrifying, and most beautiful experiences of a woman’s life. As a daddy, you’ll never really know just how tough and exhilarating it can be; I probably don’t have to tell you, but your lady is a super woman—not only because she will push through the pain of labor with grace, but also because she will give herself continuously—and unconditionally—to your newborn babe without asking for anything in return. This is why I absolutely love the idea of “push presents,” as they’re sometimes called. They offer daddies a chance to recognize and appreciate the incredible feat that is pregnancy and birth by giving a memorable thank you gift. Doing something thoughtful for your partner postpartum is a sweet way to say thank you for all that she’s given you. I truly believe that every new mama should be shown how much she’s appreciated—isn’t that right, daddies? So, here are some ideas for sweet new mom gifts from dad, with love. My friend Derek gave his beautiful wife Kara the sweetest keepsake after she gave birth to their baby, Zac. Being the talented poet that he is, Derek wrote a moving poem for Kara and had it printed on a photo of Zac’s first ultrasound, then framed. It hangs on their bedroom wall so she’s constantly reminded of how grateful he is to her and how much he values her as the mother of his child. Derek’s innovative gift proves that keepsake gifts don’t have to be expensive to be meaningful. New mamas will love something you’ve put thought and a personal touch into, reminding her of how special she is. 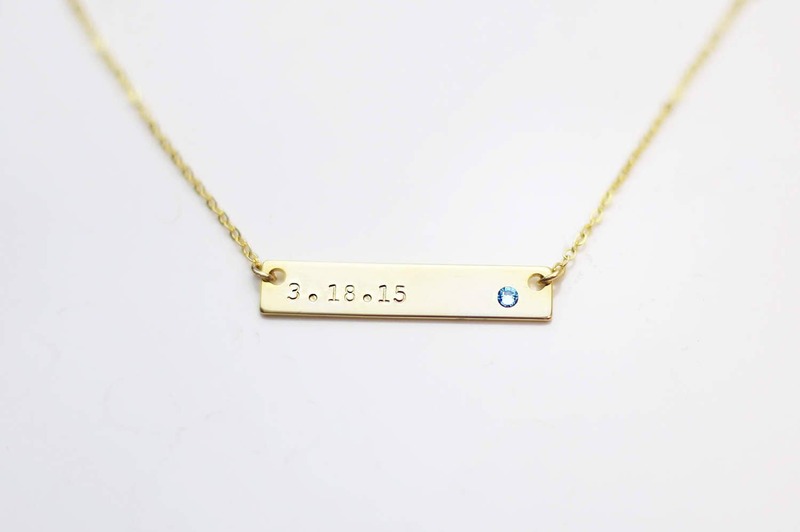 Personalized keepsake jewelry: What new mama doesn’t love jewelry? Instead of choosing something generic, make it extra special by having it personalized with baby’s details. 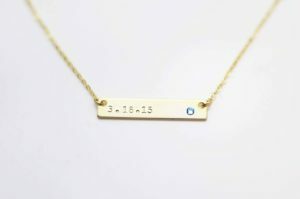 Have a necklace or bracelet engraved with the date your little one was born, pick out a pretty birthstone charm to represent their birth month, or choose a pendant with their name on it. Every time she wears this special piece, she’ll be reminded of her sweet little one and the special day she gave birth. Of course, you may have to wait until the baby comes to engrave the specifics. In this case, bring her a gorgeous DIY flower arrangement in the hospital with a card explaining her gift is on its way. A beautiful print: My mom has an adorable cross stitched wall hanging with a poem for new mothers that was given to her as a gift when she gave birth to me. To this day she keeps it in a frame on her bedside table to remind her of the day I was born. 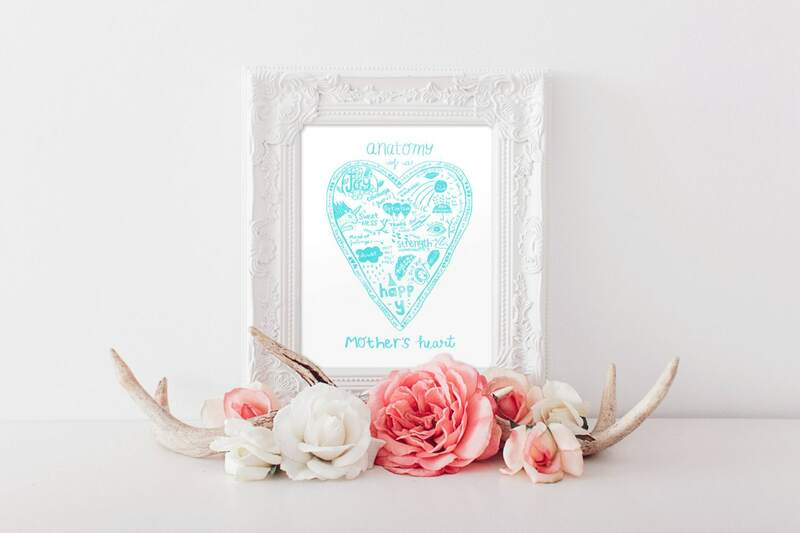 While cross stitching and poetry may not be your thing, how about finding a cute silkscreen print that celebrates new mamas? Pop it in a pretty frame and write a personalized note on the back. Put it beside her hospital bed to brighten up her room while she recovers. Who knows, it might live on her bedside table once your new family comes home. A “Mama’s Journey” photo collage: If you feel like getting a bit crafty, this idea is for you. Gather and print a bunch of photos of the new mama during her pregnancy, as well as any ultrasound pics that you may have. Pop them into a multi-photo frame, making sure to leave one empty for the picture you take of her and baby right after the birth. She’ll love having a visual reminder of her journey with your new little one. What’s great about each of these gifts is that they not only serve as tokens of your gratitude, but they truly celebrate the new mama. And, she’ll be able to enjoy and cherish them from the time she gives birth to long after the little one has grown. 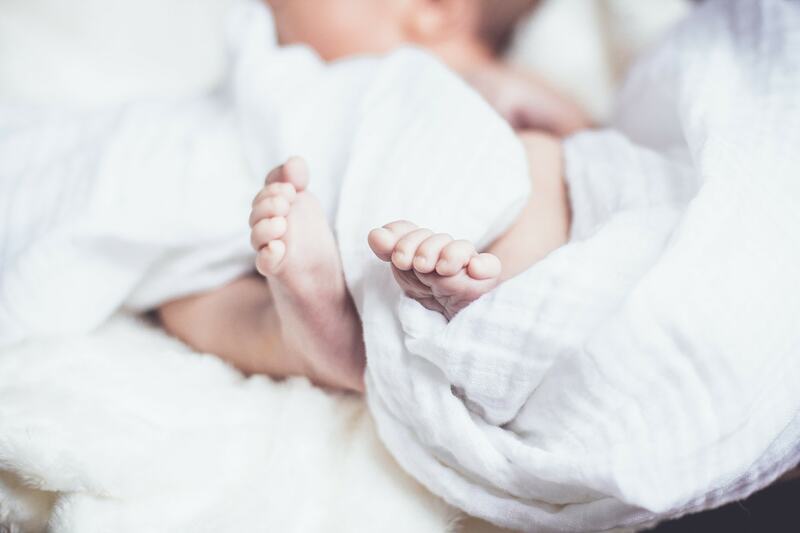 Every new mom deserves some pampering, so putting together a gift basket of postpartum essentials—plus a few indulgent goodies—will make the after birth experience extra memorable. Find a big, beautiful basket, some pretty ribbon, and fill it up! Either bring it to her in the hospital or surprise her with it when she gets home. 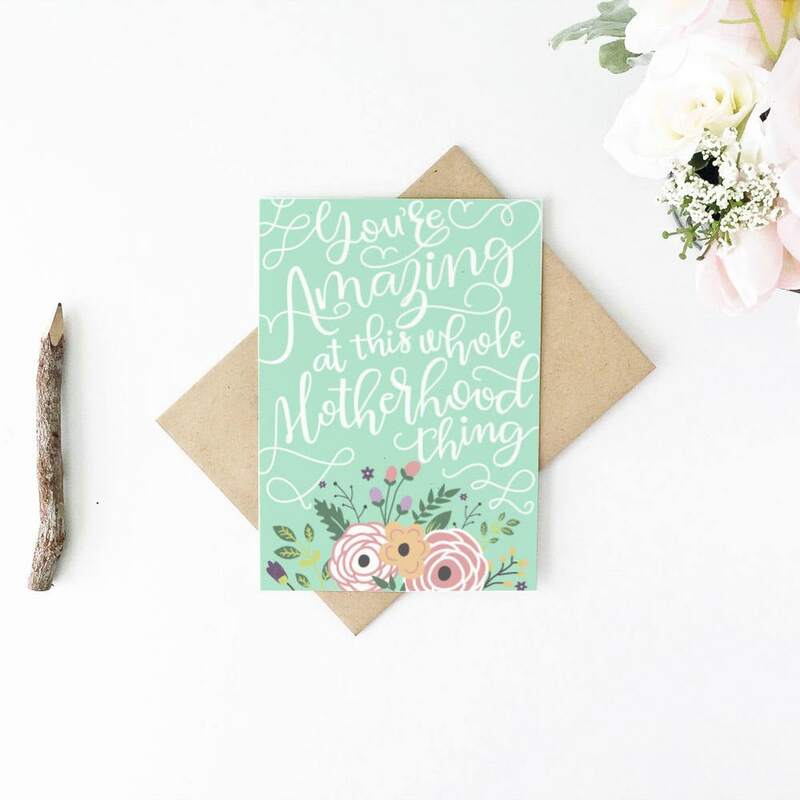 Remember to include a card with a heartfelt, handwritten note from you that lets her know you’ll do anything you can to make sure she’s comfy and well looked after postpartum. New daddies be warned! From what my mama friends have told me, the first few months after baby arrives are spent in somewhat of a daze. Sleep is in short supply, cooking and grocery shopping are neglected, and everything centers around the new little one. As new parents, you may have a pretty steep learning curve, and may not have been prepared for just how challenging (albeit wonderful) things can be. 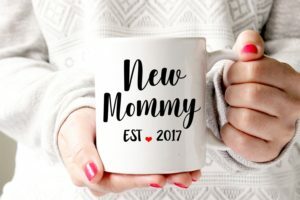 So, in the spirit of lightening the new mama’s load, how about getting her a gift that will take some of the pressure off in those first few months so she can truly enjoy them. She’ll love the foresight you put into these thoughtful gifts. Again, just be sure to give her a cute thank you card for doing a great job as a new mama—and to tuck her gift certificate into. At the end of the day, she’ll appreciate any gift that you put thought into. What’s most important is that you show her your gratitude for all that she’s gone through to bring your little one into this world—and all that she will do in the years to come. Remember, the most meaningful gift you can give her for the best after birth experience is your time, your presence, and your support as a new dad. Make your lovely lady’s after birth experience extra special with a sweet new mom gift exchange her friends and family can participate in, inspired by Elfster! Check out our Secret Santa wish lists, gift guides, and free online gift exchange program for all your gifting needs! Do you have any amazing after birth gift ideas that new moms would love? Tell us about them on our Facebook page, on Twitter @Elfster, or on Instagram @Elfster. Or, get more inspiration from our For Her Gift Guides.